A gallery in Paris has cancelled artist Guillaume Verda’s show following accusations of plagiarism of an iconic artist. Dozens of people online have drawn similarities between Verda’s work and that of widely celebrated black artist, performer, and painter Jean-Michel Basquiat. People online were quick to note the similarities between the artists, as Artnet News reports. “There’s not a single mention of Basquiat’s enormous influence on (Verda’s) ‘work’, which, if I may, allows us to qualify it as a bad copy,” one user wrote. 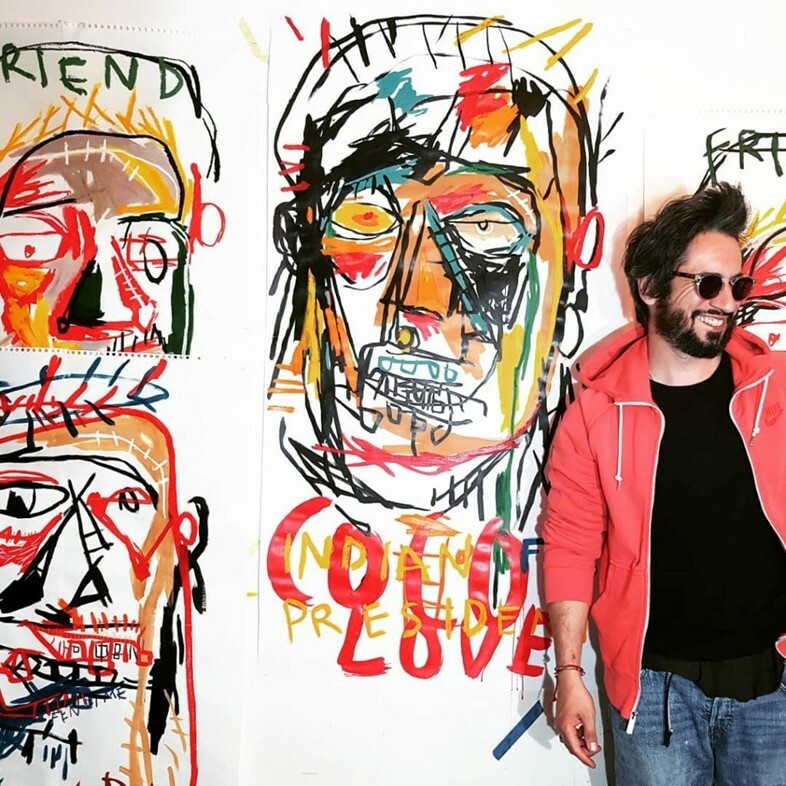 The dispute gathered speed and attention, with an influx of criticism flooding Verda’s online profiles – the artist’s claim on Instagram that he doesn’t know who Basquiat is probably didn’t help. After a user commented on one of his posts, “It reminds me to #jeanmichelbasquiat”, Verda responded, “who?”. Previously, Verda has made ambiguous reference to Basquiat’s work, without directly citing him as an influence, using hashtags like #AfricanArt and #neoexpressionism. Much of the anger revolving around the art and exhibition stems from the fact that Verda, a white artist, is allegedly ripping off one of Haitian and Puerto Rican heritage, whose enduring legacy made space for pieces about identity, race and black people in pop culture. The undisputable similarities in style are unlikely to be coincidental, but the line between inspiration and appropriation has been blurred by Verda’s refusal to credit Basquiat’s work. Galerie Sakura, the art space, has voiced its continued support for the artist; insisting that they felt that the exhibition, which was set to open this month, would be a threat to “public safety” if it continued. The gallery director, Jean-Baptiste Simon, told FRANCE 24: “A lot of artists work like that, they draw inspiration from another artist of movement.” Simon has condemned the bombardment of threats Verda has online, asserting it has been “completely blown out of proportion”. Verda has since made his social media accounts private. Basquiat’s artistic oeuvre continues to confound us – the artist is set to be the subject of an upcoming musical, based on his life and work, with those working on it having access to his personal creative archives. Just last month, secret drawings made by the late artist in invisible ink were discovered on one of his artworks, hinting at more secret messages and pieces across his catalogue of art.